The Guy is easily the most hated man in WWE right now. What makes this great is WWE’s decision to lean into this fact. Roman Reigns is far more of a badass than he has ever been, and this seems like the start of the transition from mass boos to overwhelming cheers if WWE books him right. For this reason, Roman should not move. He has a difficult path ahead to become popular again, and a switch in brands can lead to a strange change in momentum. Roman has gotten under the skin of Raw fans, but Smackdown Live fans would likely treat him with indifference, which is what WWE wants to avoid. Roman’s yard is Raw, and should remain Raw. Sasha Banks was one of the stars that many assumed would be a cornerstone of Smackdown Live before the Draft occurred. After she was drafted by Raw, she went on to have a fantastic feud with Charlotte while slowly turning heel in recent months. Now, she is on the cusp of a heel turn. The key is for that turn to occur at the expense of Bayley. Bayley is the ultimate babyface, and a turn from her best friend would cause a huge rift that could build into another fantastic rivalry for the Raw women’s division. If she were moved to Smackdown Live, her turn would be much less impactful. Keep her on Raw and let her tear through the division with Charlotte off to the blue brand. The moment Kurt Angle was announced as Raw GM, nearly everyone wanted American Alpha to move to Raw and work with the Olympic Hero. The match is simply made in heaven, but the timing isn’t quite right. American Alpha are the best things going in the Smackdown Live tag team division, and leaving Tuesdays would leave the brand devoid of great tag team talent. Even with The New Day rumored to come over, the division needs legitimacy to grow. If they moved to Raw, the top teams get very congested with The Hardy Boyz, Cesaro & Sheamus, and The Revival all in position to be top tag team. American Alpha would be an afterthought, which is not what they deserve. If you want a mentor for the two, a returnung Shelton Benjamin should do the trick. It can not be stated enough: The Miz is must-see TV. His promos are absolute fire, and his work in the ring has vastly improved. Now he stands without a clear rivalry (though Nakamura was hinted at), and this makes many feel that he should be off to Mondays. That should not happen. The Miz is a slimy heel on a show that carries many fan favorites. Because of this, he thrives with the current balance of heels and faces. However, he can easily be lost in the mix if he isn’t used right. With major heels like Kevin Owens, Samoa Joe, and Braun Strowman littered throughout Raw, The Miz is much better off sticking to the blue brand. The Samoan Submission Machine is an amazing wrestler. The matches he is capable of putting on are fantastic and he has the potential to be a top star. Smackdown Live can be his opportunity to be that top star. However, the right brand for him right now is Raw. He is doing great work as Triple H’s muscle and is in line to start having top-flight feuds with the top babyfaces in the company. Smackdown Live may have great talent as well, but his alliance with Triple H will allow him to remain in the biggest feuds for the foreseeable future. After a year, he would likely need a switch to Smackdown Live to dominate as he should. But the storylines are best for him to stay on Raw. The monster among men has found a great deal of success since the brand split. After the growth he has made, he should continue to contend with the powerhouses of Raw like Roman, Samoa Joe, and Brock Lesner. Raw is a great place for this monster to dwell. The Eater of Worlds has tasted gold and likely will not be finished with obtaining more. Bray Wyatt is finally seeing the triumph that his character needed. However, after a loss to Randy Orton at WrestleMania, Wyatt needs momentum. That momentum is best to be found on Smackdown Live, as he can continue to be one of the top heels if given the chance. Crews has been absolutely wasted to this point. The talent is certainly there, but the character has yet to catch on. While he may be in need of change, the influx of talent to Smackdown Live should be enough to help him. On Raw, he will fade to the background quickly. This year’s Andre The Giant Memorial trophy holder is likely due some kind of push in the near future. However, Mojo Rawley is still very green in the ring and could use some fine tuning. Raw has little room for that kind of project, while Smackdown Live can continue to help bring him along. Rumors are that Johnny Gargano and Tommaso Ciampa are set to come up to the main roster. While they would be a welcome addition to either tag team division, the tag team division in NXT just took a major hit with the loss of The Revival. If DIY leaves, the division will be anemic. They need a little more time to help NXT out before they leave for better things. And that’s my list. Agree or disagree with any in particular? 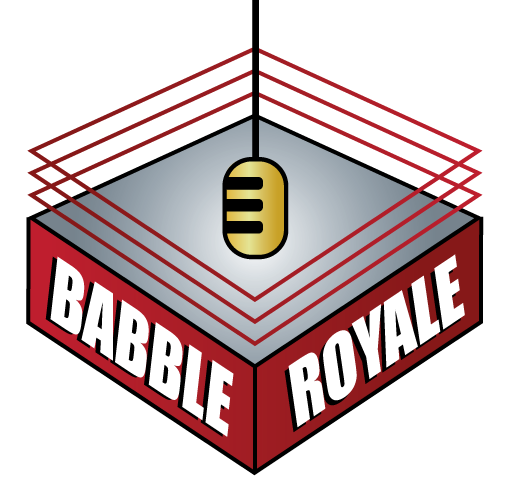 Let me know in the comments, and please like this post, share it on Facebook, and subscribe to Babble Royale.